Bexley DA Office & Home Window Cleaners | Quality Property Care Ltd. Obtain great discounts each calendar month, schedule a regular pro cleaning and get effective price ranges that will fit your price range. 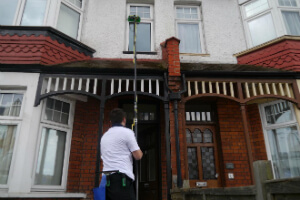 Call 020 3746 4287 and today Quality Property Care Ltd.’s reserve window cleaning service for Bexley DA. Quality Property Care Ltd. is a very rated window cleaning company in Bexley DA. It was founded back 10 years ago. Through the years we have realized that customer`s satisfaction is the best value we receive from our services. The domestic and commercial window cleaning service is one of our top accomplishments based on fast speed, innovative strategy and minimum danger for the clients and the window cleaners. To clean up your window on the outside we use a specific water fed pole system which is located in our van (hence the need to the close proximity). The system takes standard tap water and removes the nonessential minerals from it leaving it a pure H2O molecule. Mineral free the water is a whole lot lighter, with a increased mineral absorption property than before. The cleaner is in the van, with the telescopic water fed pole cleaning windows from a range. We do not use any detergents or sponges, just simple filtered water which does not demand any rinsing. For inside window cleaning we use a standard setup of right detergent and squeegee, including the rinsing and drying of the inside of the window. Thanks to the water fed cleaning progression we are capable of treating a wide range of window types - skylights, sash windows, sun roofs, big and small double windows, big and small bay windows, garden windows, French door panels and quite a lot more. Quality Property Care Ltd. company performs in the entire Great London region, cleaning commercial and domestic homes inside and out. Our technique is capable of cleaning even the filthiest of windows. We work with double and single windows, conservatories and conservatory roofs, big bay window, small bay windows, skylight windows, sunroofs, garden windows, sash windows, French doors, Victorian style windows, American style windows and quite a lot more. We also clean sills and frames, only if they are PVC, we do no move or restore something. To reserve us give 020 3746 4287 a call where a crew of professionals is ready to help you anyway they can. Contact us for free at the given number to get info to questions and book the best cleaning support in London.